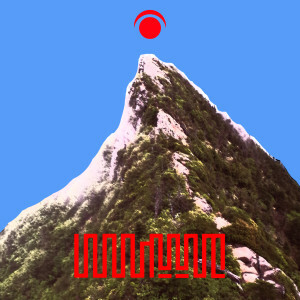 TENGGER is a traveling musical family, made up of Pan-Asian couple, itta and Marqido, who create their brand of psychedelic New-Age drone magic through the use of harmonium, voice, and toy instruments (played by itta) and analogue synths (played by Marqido). The duo originally started out with the moniker “10” but since the birth of their son RAAI (who joins them on tour and often on stage) in 2012, have called themselves TENGGER (meaning ‘unlimited expanse of sky’ in Mongolian) to mark the expansion of the family. It also means ‘huge sea’ in Hungarian. Travel, as spiritual experience in real environments, and the sound between the space and the audience have been central themes of their works. The family’s yearly pilgrimages inform every aspect of their art. Fans of Cluster, Laraaji, Emerald, and Neu! will find lots to love in the music of TENGGER. Spiritual 2 was created with this simple ancient Asian philosophy in mind: if you’re looking at something, you should recognize that there is something invisible behind it. The cover art is from Mt. Ishizuchi in Shikoku, Japan. Ishizuchi is a symbolic, holy mountain. There is an old shrine near the top and there’s a small mirror at the shrine which reveals the peak of the Ishizuchi. Beyond Beyond is Beyond is honored to be the mirror for you to reflect the beauty, strength, and power of TENGGER’s brand-new masterwork, Spiritual 2.